When Warren Zevon’s self-titled album arrived in 1976, it seemed impossible that this guy could have been making his major label debut. So assured were his melodies and so world-wearily insightful were his lyrics that it seemed like the work of a fully-formed artist. 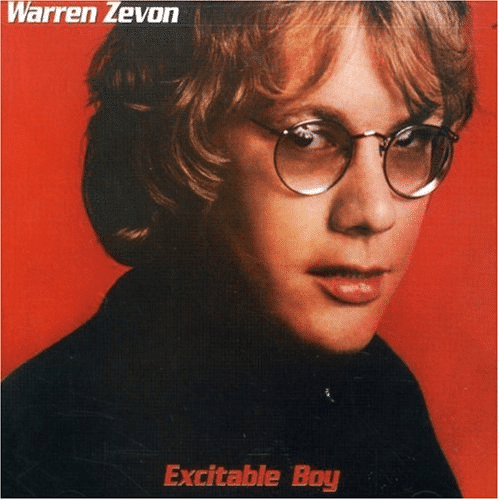 What most didn’t know at the time was that Zevon had already experienced a musical career full of twists and turns, including a failed 1969 solo album, songwriter-for-hire work for the Turtles, and a stint leading the Everly Brothers touring band. By ’76, he was a sort of cult hero on the West Coast rock scene, which is why he had so many luminaries appear as guest stars on the Warren Zevon album. For example, the soaring harmonies that you hear on the brilliantly bittersweet ballad “The French Inhaler” were provided by Eagles Don Henley and Glenn Frey, while the song, like the rest of the album, was produced by Jackson Browne. Yet it’s Zevon’s perspective, with caustic, cutting lyrics leavened by the unabashed beauty of the tune, which shines through on the track. The closing line (She said, “So long, Norman”) was apparently a dig at Norman Mailer, but in the context of the song, it comes off as the girl’s farewell to the narrator, unable or unwilling as she is to heed his advice. “The French Inhaler” is funny, nasty, self-deprecating, sympathetic, and ultimately heartbreaking. In other words, it was just a typical effort from the late, great Warren Zevon.